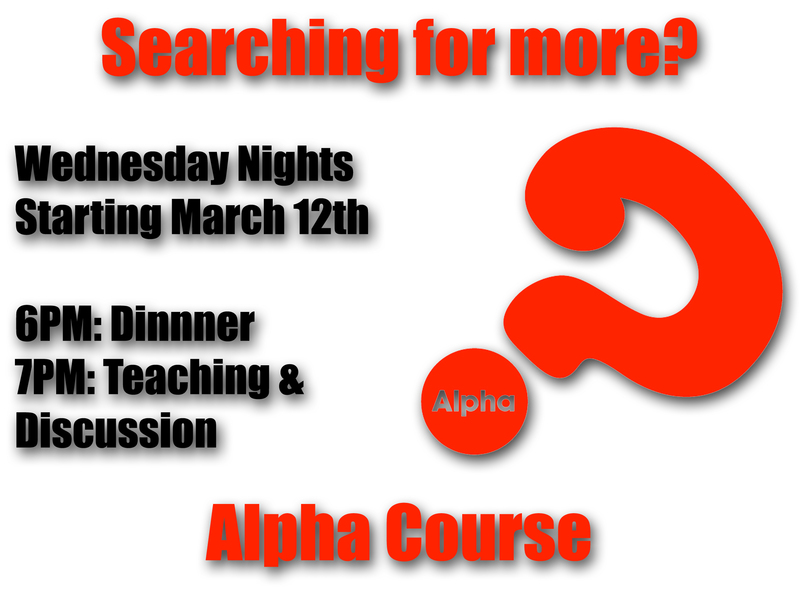 The Alpha Course starts tonight! We’ll have dinner at 6PM, and then teaching and discussion at 7PM. All are welcome. Check out http://www.alphausa.org for more information.